The new issue at Paper Issues is All About the Face . I chose a photo of Andy looking adorably ridiculous singing his heart out in the car. That boy has a serious love of music, especially pop, and I had to document it in detail. This paper from Maggie Holmes' Confetti line is perfect for the layout's theme and I love the gold glitter triangle. 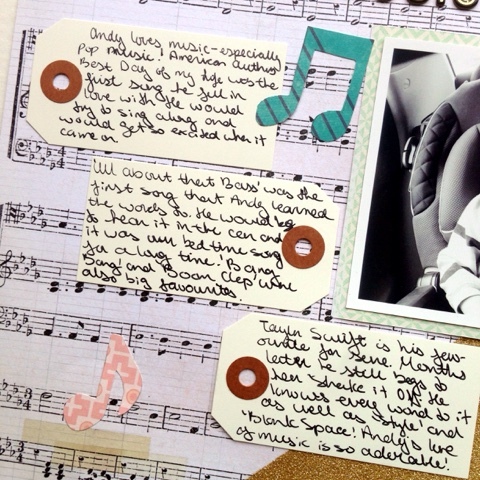 I wanted to do lots of journaling, so I layered some shipping tags down the page and wrote all about Andy's love "All About the Bass" and Taylor Swift. 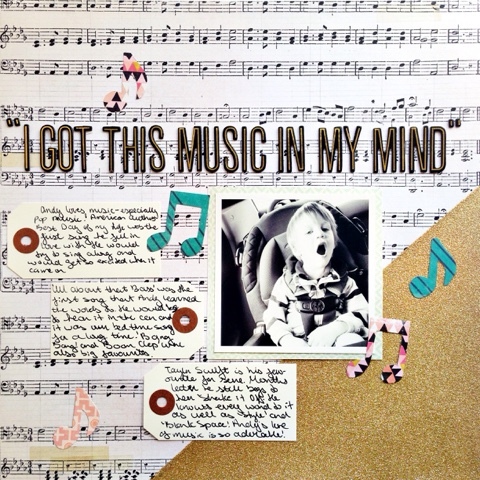 I hand cut some music notes out of patterned paper and scattered them around the page. I used some of my new favourite Thickers to make a bold title quoting the great Taylor Swift. You have until August 16th to link up as many projects as you want for the chance to win a $20 gift card to the Paper Issues shop. 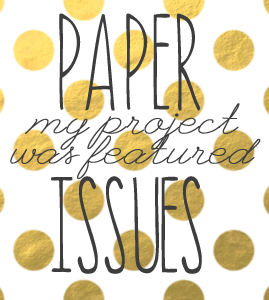 Check out the Paper Issues blog post for a list of possible themes, but basically it's photos of any kind. 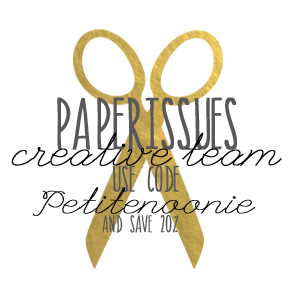 You can also use my code ''petitenoonie" to save 20% off your entire order from the Paper Issues shop. Great page and story about your little guy! So stinking cute! 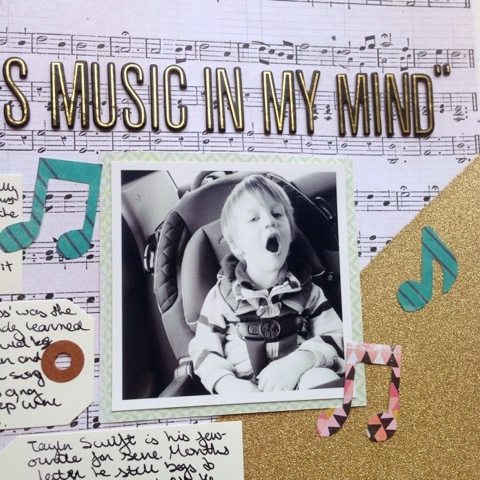 Fabulous layout Meaghan!